Portugal will take on Wales at Lyon on 7 July for the semifinal of Euro 2016. 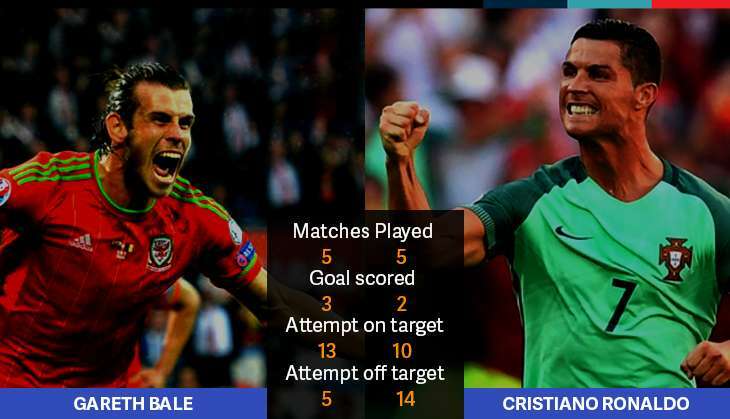 The match will see Portugal attempt to end the fairytale run that Wales has been enjoying so far. This will be Portugal's fifth appearance in a Euro semifinal. While Portugal has the might, it remains to be said that they have not managed to win a single match within the prescribed 90 minutes - choosing instead to bounce back in the extra time in all the games so far. "The dream is getting nearer and anything can happen now. I don't feel I'm missing any honours and even if my career finished today I would feel privileged," Cristiano Ronaldo said, ahead of Portugal's first competitive meeting with Wales in the tournament so far. If their record in the tournament so far is anything to go by - and the 3-1 game against Belgium is a recent reminder - then Wales will prove to be a difficult side to beat. "When we put on the shirt there is no bigger honour for us. We play for the shirt and for the dragon. We give everything we've got," Wales talisman Gareth Bale said ahead of the big clash. Wales are the second Euro debutants to reach the semifinals - after Sweden in 1992. 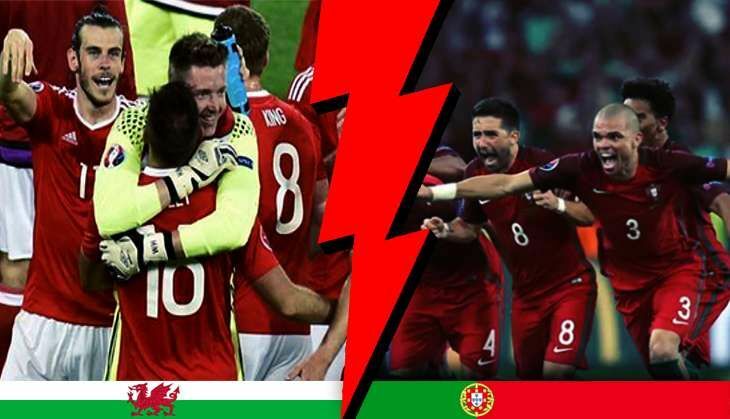 In fact, this is Wales' first semifinal in a UEFA or FIFA tournament. Portugal and Wales have met three times before. In the friendly of 1949, Portugal beat Wales 3-2. However, Wales beat Portugal in another friendly 2-1 just a year later. In the last encounter, in Chaves 2000, Portugal won 3-0. For Portugal, it is Real Madrid forward Cristiano Ronaldo who may play a role in the Seleccaos' victory. A Ronaldo in full form will prove to be an unstoppable machine who will not miss any opportunity to create chances, assisting and netting the ball. The other player who is bound to steal the limelight is the young, dark horse Renato Sanchez. Nani, on the other side could prove deadly at the same time with his experience. For Wales, it will be Real Madrid star Gareth Bale who might score some crucial goals and get things going for his team. With Aaron Ramsey's suspension, the onus now lies on forwards Joe Allen and Gareth Bake. However, one can not write off Welsh captain Ashley Williams, who has been consistently creating close chances for his team. Fans can expect a gritty game with a nail-biting finish. While Portugal is known to penetrate the opposition in the blink-of-an-eye, Wales - with their compact defence - won't give up so easy. Wales' previous display of possession and recovery will also play a significant role. However, Portugal will always have an upper hand with their experience. Or will they? We'll just have to wait and watch.